Colombia and Venezuela have recalled their ambassadors for consultations amid the escalation of border tensions between the two South American countries. According to Press TV, on Thursday, Colombian President Juan Manuel Santos announced his decision to recall the country’s ambassador from Venezuela after Caracas refused to allow a Colombian official to visit a border town that was the site of an attack on a Venezuelan military patrol last week. Following the incident, Venezuelan President Nicolas Maduro ordered the closure of the country’s border with Colombia, declaring a 60-day state of emergency in parts of the frontier as tensions were running high in the region. 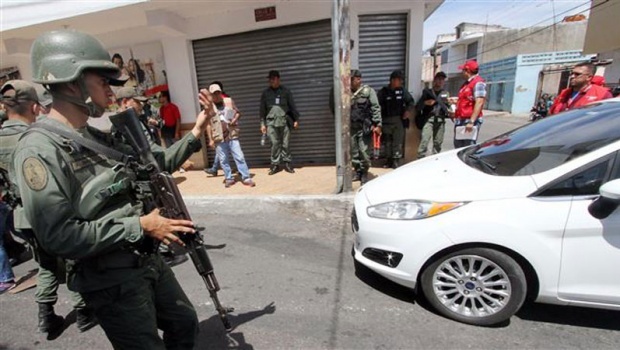 Colombia has censured Caracas for closing the border, urging cooperation between the two countries to contain the threat of armed gangs and smugglers. Shortly afterward Colombia recalled its ambassador, Venezuela also recalled its ambassador to Colombia for consultations. Reports say that Venezuela has deported hundreds of Colombian migrants over the conflict, while 6,000 people also left the restive area voluntarily amid the escalation of tensions.